It is among the 10 most family-friendly ski Resorts in Sweden. Snow coverage is usually best during April, offering an average snow depth of 306 " at summit elevation and 0 " at the base. 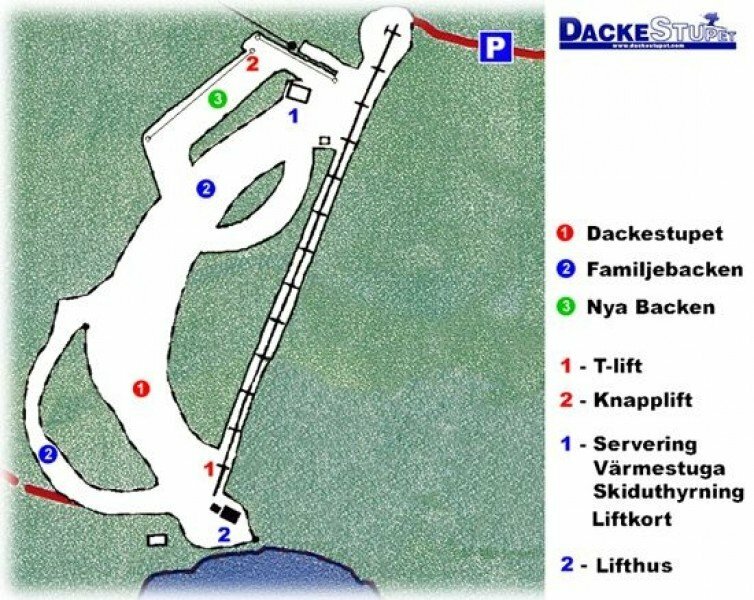 Dacketstupet is a small ski resort in Småland. You can enjoy the original nature of southsweden, without passing on mothern comfort. Dacketstuped has some modern snowguns end even floodlight so you can enjoy the snow even in the long scandinavian nights. The resorts comes with 3 runs and 3 lifts. There is a cafeteria where you can have snacks and hot and cold drinks an rent some ski.